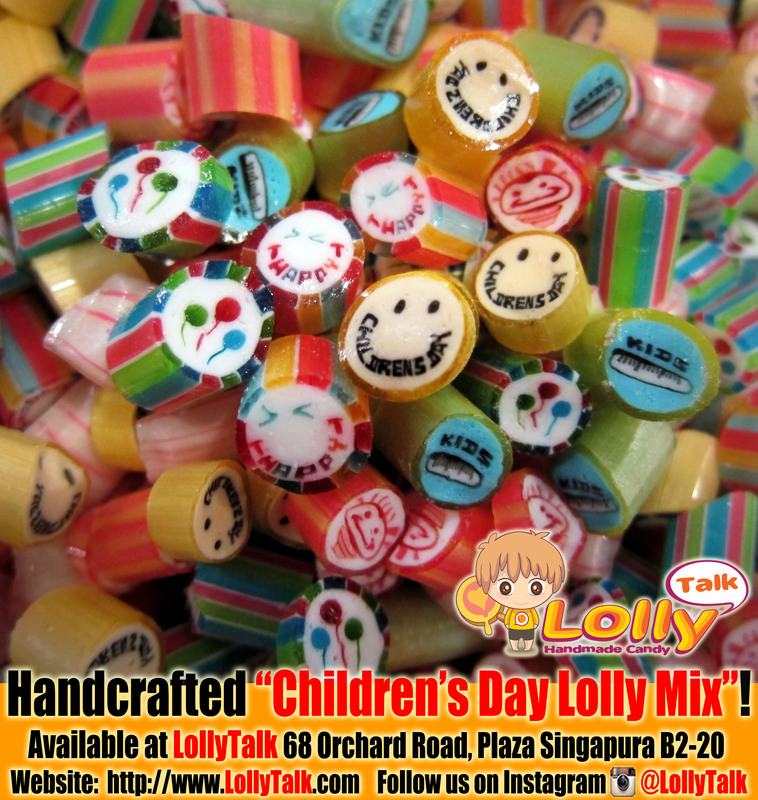 LollyTalk’s Handcrafted “Children’s Day Lolly Mix”! Early Bird Pre-order starts now!!! FREE personalized labels for the first 100 customers!!! Terms and conditions apply. Promotion ends once we send the labels out for mass printing or when the free quota finishes (whichever first). To order, send us an email preorder@lollytalk.com and we will give you further details on how to go about. Or visit us at 68 Orchard Road, Plaza Singapura B2-20 to place your order!!! Each Children’s Day Lolly Mix comes with up to 6 design/flavours. The design in the mix might varies. Some of the design might be limited batches, and will be changed with new addition to the mix, and older design might be replaced and not repeated. Will soon be available to sell at LollyTalk’s flagship outlet as well as via various premium resellers.